....to have already shopped the Kohl's Black Friday sale since it's online. ....to be going out for actual Black Friday, but not super early. My daughter and I will do afternoon shopping. ....to plan on bringing out the Christmas stuff after Thanksgiving. I hope our tree is okay. It's sort of wedged behind a bunch of boxes. ....to be in charge of the green bean casserole, rolls, and deviled eggs for Thanksgiving. Oh, and we might bring another dessert. You can never have too many desserts on Thanksgiving. ....to think it's cool that Target has Buddy the Elf cereal! I've definitely thought about going out for Black Friday, but I'm a little nervous haha. Haha! I especially also think that buddy the elf cereal is cool! Hope they still have it when I get to target!!! That cereal looks yummy! Hahah I believe I haven't seen anything like that in our country. I better check some online stores, wanna try some! I prefer online shopping. I'm going to be away so I hope I don't miss a lot of deals! I do just about all my Christmas shopping online. I'll be putting up two trees and decorating all day on Black Friday. I didn't know about Buddy the Elf cereal - how cute! Always looking to try new cereal. This one looks like something the kids would love. On another note I do not do Black Friday. yes yes and yes! i def love this cereal for sure i def believe you need to shop when you can too! Going out and shopping on Black Friday is an American tradition but it is so crowded. I have to try the Elf cereal I loved the movie. This will be my first time to raid the BX on Black Friday. I think I want to go just to see if it turns into a madhouse like back stateside. I'm so homesick this season. You always find the coolest snacks and cereals. I'm hoping to get some Black Friday shopping done online as well. I have to check out the Kohl's sale. I am anning on shopping online this time. I hope I don't forget since I have so much to do. I normally do my black Friday shopping online. I am not a big fan of traffic to the mall and the line for check out. I'm not big fan of Black Friday sale but I usually find lots of great deals in Amazon. 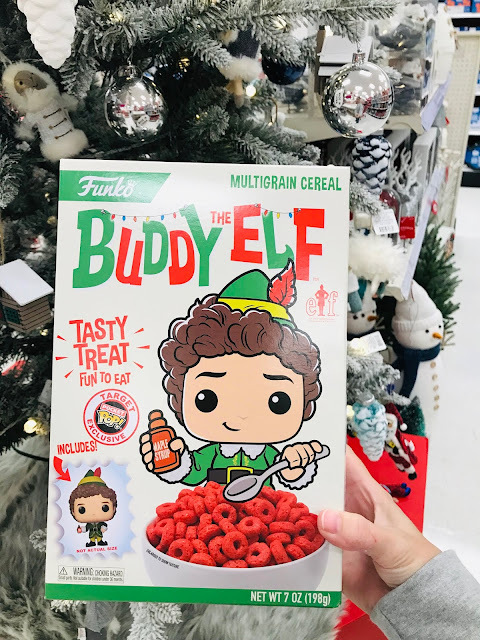 FYI, Buddy Elf cereal is for perfect holiday! I don’t have plans to hit the stores for Black Friday but hope to get some online deals. My kids need that cereal! 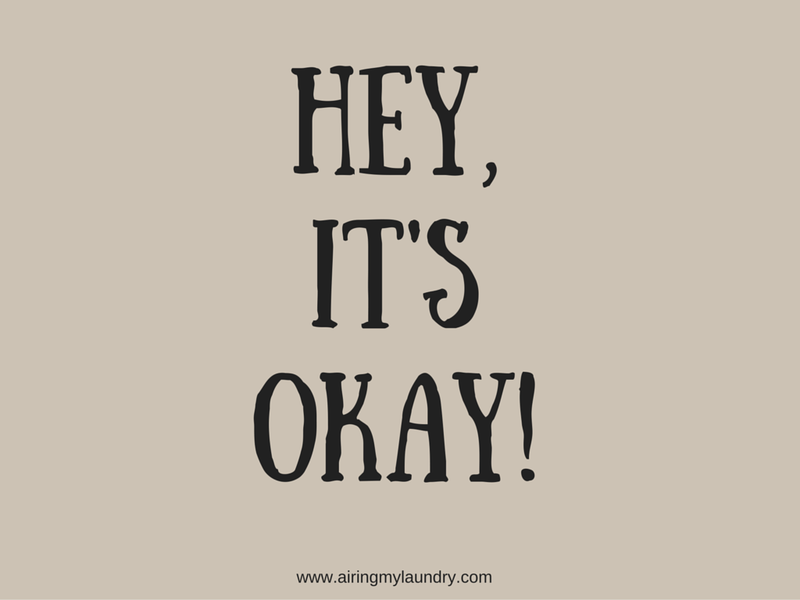 "hey, it's ok" that I have been so stressed about the holidays that I hid a box of Pop tarts in my closet so my kids wouldn't eat them. I didn't realize Kohl's already had their black friday sales online! And I'm totally buying Buddy the Elf cereal! I'm skipping Black Friday this year, but I'll probably shop Cyber Monday. That is, if I find some good deals. I think we will do afternoon black Friday shopping as well! I went out once at like 4am and I hated it lol. Haha love these. Sales are always ok and ditto on the desserts! I wish our country also have these kind of sale days, so that we can also shop happily! Wow, you're awesome! You shopped ahead everybody else. I also do online shopping when it comes to sales, I don't like going to the store and the long lines. 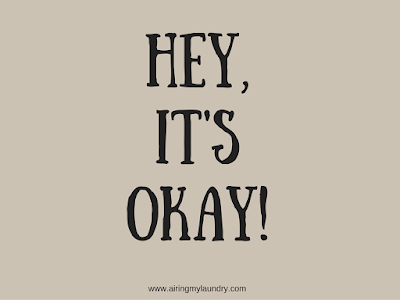 I love It's Okay! (And It makes me think of Glamour magazine which just shut down yesterday. Wahh!) But love this list. No way I'm waking up early on Black Friday, either. That cereal looks great! I hope I can find some of that. My daughters would be thrilled to try it. Umm, this made my heart so happy. I love Elf and I love Funko Pops. Though I already have Buddy, I wouldn't mind another. Thanks! I will not be doing black friday shopping. It is insanity and we have another family thing that day. I much prefer online shopping but i do try and support the small businesses. I do have to agree with you, there is no such thing as too many desserts! I much prefer shopping online than going out and battling people. I can do so from the privacy of my own home. Dude, I waited up for the Kohls black friday sale the night it went live. I am so excited about all of my new linens though! Hey it's okay to be afraid and not have everything figured out.